In Star Wars movies, so much of what we see is never real, it’s digital effects and movie magic. However, for Galaxy’s Edge, everything is quite real. Everything from the rusted out landspeeder to the Millennium Falcon looks just as real as it does on the movie screen. In fact, some of the shots look almost identical the concept art that was released years ago, showing just how close to the mark Walt Disney Imagineering has come in trying to recreate the world of the galaxy, far, far away for us. 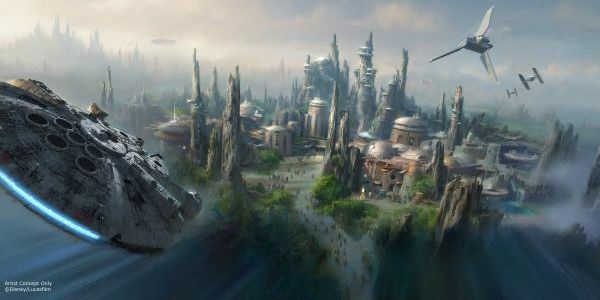 While there were no major reveals at the Disney Parks panel at Star Wars Celebration, like the opening date of the new land’s second phase, the panel brought together all the pieces of information that we had in one place, expanding on details and confirming things that had previously only been rumor.